In this day and age of internet-based businesses and eCommerce, social media and web-based communications are very important for any business. The marketing strategy these days needs to also include how one is going to present and carry themselves on social media. So how can you create an implement a successful social media marketing plan for your business? Social media can be one of the biggest tools in your toolbox, but only if you learn to use it effectively. 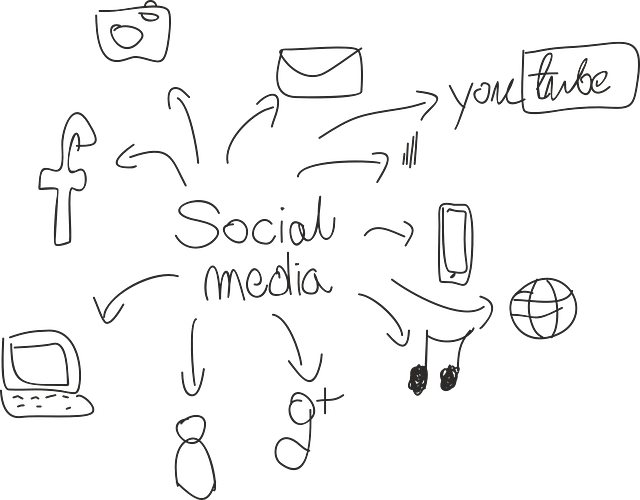 Social media marketing is just as much about making a connection with your customers as it is about promoting your business, yourself, and your product or service. This is going to be key in starting any new business and developing a marketing strategy, whether it includes and involves social media or not. You want to be clear on what your goals are before you can start figuring out how to achieve them. What do you want to achieve? What purpose or need does your business serve? And what are customers in your business’ area of expertise going to be looking for? It is impossible to develop a strategy if you don’t know what you want the result to be. The two steps above will help you figure out the path you want to take to get to your destination. But how do you figure out what your destination is, to begin with? This is where you must begin to gauge who your customers are and know and understand what it is they want from you in the long run. One of the best things you can do is to do your homework on your competitors. What are they doing that you could see a better way of doing? What do you think they are doing right that you can capitalize on? Looking at what your competition is already doing will give you a way to gauge what is and is not already working, and then you can build from there. Look not only at what your competitors are doing wrong, but what they are doing right. This can help you to shape the direction you should take with your own strategy. Pick a couple of the leaders in your industry. How do they carry themselves on social media? Are they able to make a connection with their customers and users in an effective way? How could you replicate that or improve on it? There is such a thing as too much when it comes to social media, and you don’t want to just go blasting out your time and effort to every social media platform out there. But how do you know which is the best social media platform to promote your products or services? Not all social media is created equally. Let’s take LinkedIn as an example. This is an amazingly effective avenue for targeting other businesses. Are you in a business-to-business industry? Are other businesses your customers? Then this may be where you will want to concentrate at least a good portion of your efforts. The reality is that social media can be the bread and butter of your marketing strategy if you can learn to harness it effectively. After all, who doesn’t have an account on social media sites these days? Research has shown that most people will spend at least some portion of their day on social media at least 3 days a week. So, learning to harness the power of social media marketing can help set your business apart and put you over the top compared to some of your competitors. The tips here in this article only scratch the surface and there are so many more tips out there. Make sure you do your homework because that is going to be the most important piece of the social media strategy puzzle, in the long run. You might also want to look into hiring a great web design company for SMM consulting. Did you see one of your competitors running a cool feature on their blog that gave you an idea for something of your own? Then that is a step in the right direction. The key is connecting with your customers in an effective and meaningful way. Find which social media platforms are most often visited by the types of customers you want to target. Where do they already spend their free time? That is one of the avenues you want to focus on. Make sure that you are capitalizing on the resources you already have – your competition and your customers. By studying their habits and patterns, you can learn to do what is going to work best for your business.